Don’t feel self-conscious enough sat flailing around with a VR headset on? Untethered wants you to talk to it too. It’s quite a barrier to entry – as for that matter is the price, and the fact that it’s a Google Daydream exclusive. 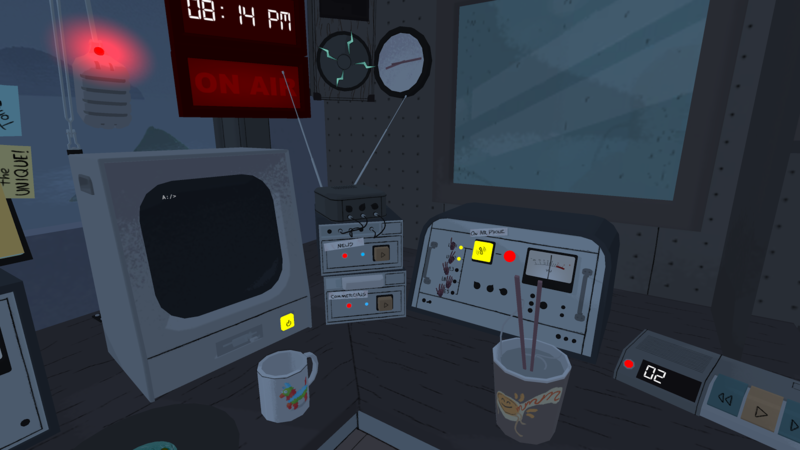 But it’s worth getting over the ludicrousness of talking to your phone while it’s strapped to your face: this “quirky episodic VR series mixing comics and radio drama” from That Dragon, Cancer developer Numinous Games is completely convincing. Set in a coastal Oregon town where there have been reports of strange goings on, this first episode casts you as a local radio DJ, and takes place entirely in the studio. It’s an inspired choice of location, perfectly suited to a seated VR experience, and totally believably rendered. There’s a realistic amount of ‘stuff’ around, most of it interactive in some way, some obviously relevant to the story, but a lot just there to surprise and delight. Indeed I had to go back and play it through a second time to see what I missed, because as well as just poking around in the studio, you’ve got a radio show to present. You have your producer in your ear, and part of the joy is in discovering what is expected of you. The bold art style is well suited to VR, and moreover to the humour and the sense of the slightly unreal. 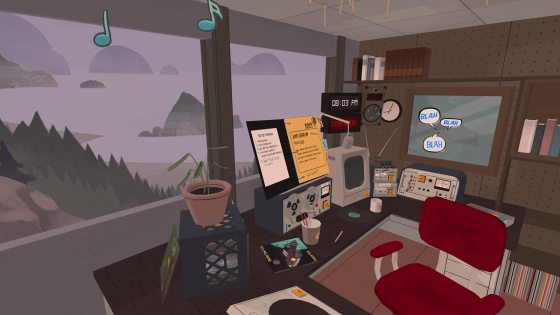 The art style is also reminiscent of Firewatch, as is the relationship with your producer, and the general tone of the game. That found a sizeable audience, and this deserves to too. It’s not without technical problems – the voice recognition isn’t perfect, I had problems with the required internet connectivity repeatedly dropping out – but to the game’s credit they weren’t enough to break the immersive atmosphere. It’s far from clear where future episodes – which will feature new characters and locations – will take the story, but the intriguing weirdness combined with a lightness of touch mean I’m on board.